We used Grogan Timber products to supply and fit all of the gates (a dozen or so) on our farm in Meath. We found them very competitively priced but with a service and product that would be difficult to match. All of our visitors and neighbours comment on their appeal. I was recommended Martin and his team by a friend and I can definitely say that I will, and do, pass on the recommendation. I wanted to upgrade my garage door and side entrance with something unique, Irish, and with a product I would be proud of. I found Grogan Timber Products very creative, easy to deal with and with workmanship which can only be gained through experience and expert handiwork. I wanted to replace my garden shed and got in touch with Grogan Timber Products a few years ago. They delivered and assembled a very fine shed which has (as expected) stood the test of time and is both practical and sturdy. I would definitely recommend Martin and his company to anyone looking for something similar. Gates come in different shapes, sizes and materials. By having a gate that reflects your personality, it will give people an impression of who you are, and it will change the way they interact with you. This is why it’s important to have a nice looking gate, of which a wooden gate might be one of the best looking of all out there. Wooden gates are popular, and they have been popular for some time now. They are easy to work with and don’t require much effort in order to customise. Plus, each type of wooden gate is completely unique. Traditional five-bar gates are a timeless design, perfect for farms a business complex in countryside surroundings. Timber security gates, on the other hand, can look neat and attractive while forming an imposing and hard-wearing barrier. There are different types of wood types you can choose to make a gate out of, and it can be an extension of your overall decoration. If you are redecorating your business premise, you can simply chisel and repaint the gate to give it a unique look that matches your new decorations. If you think that a wooden gate might have fewer functions or a more limited purpose than a metal gate, think again. Wood is a much more nimble material that can be customised with ease. Additionally, the damage on the wood itself can simply be painted over, and they last for a long time. Different types of gates fit better in different purposes. But no matter where you are installing a gate on your property, wooden gates are easier to install. From driveways, side entrances and large front entrances, these aren’t beyond the realm of possibility for a wooden gate. Different types of wood offer different levels of security. For your main gate, you will need the hardest woods you can find, as these can be incredibly thick, heavy and hard. If you are looking to deter crime perpetrators from entering your premise, a large, thick, stern wooden gate can be a great way to achieve that. Our wooden gates can offer a sufficient level of privacy for your premises. If your premise carries expensive products or entrances that you prefer to keep hidden from pedestrians, a wooden gate can form a tight barrier where needed. As mentioned, it’s not hard to find a wooden gate which fits with your specific needs. If you need a gate to cover a certain height or width, tell it to your supplier and see how they can help. 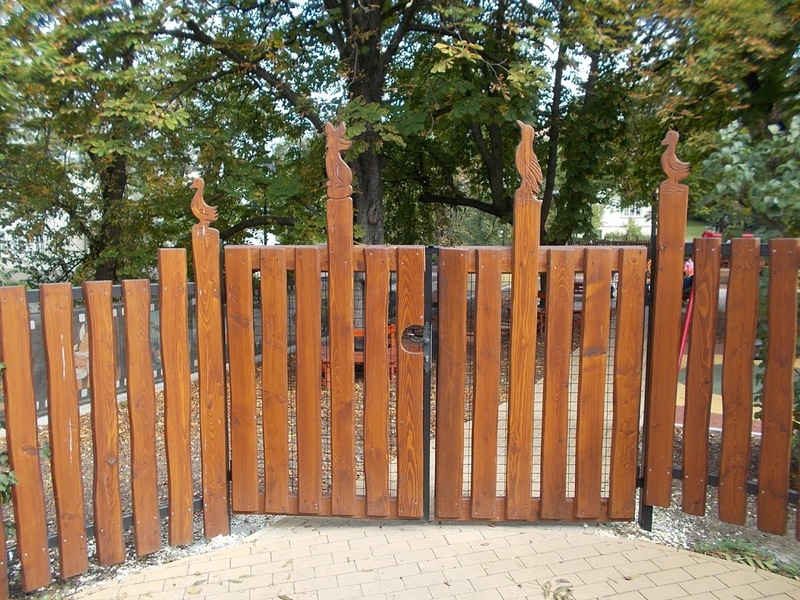 Wooden gates are the most cost-efficient gate you can find in the market. Timber is generally significantly cheaper than metal, making it a clear competitor to traditional metal gates. While wooden gates may take some extra care on the maintenance sometimes, they will last as long as any metal gate with a rudimentary maintenance work. See what your needs and specifications are and discuss it with your local supplier today. You might be waiting for the best gate of your life, and that gate might just be this new wooden gate you are getting! We would be happy to open relationships with other hardware stores and wholesale suppliers, and provide our sets of standard sized gates and other products at very reasonable prices and in whatever bulk quantity required. If interested please get in touch. Few things beat the added style that come with handcrafted wooden gates for your home or farm. If you’re looking to add a sense of timelessness while guaranteeing yourself more privacy and security, you’ve come to the right place. Our gates are crafted in the Republic of Ireland with your specific needs in mind, so you can rest assured that every time you choose to work with us, you will get a gate that’s not only stylish and cost-effective but also durable and easy to maintain. From our state-of-the-art workshop based outside Belturbet in Cavan, we have been adding to the stories of home and farm improvement and security throughout Ireland. Our commitment to achieving and exceeding the highest possible standards is second to none. So, if you’re looking for award-winning craftsmanship that has fast grown to become the gold-standard of this industry – look no further than Grogan Timber Products gates, stable doors and garage doors. Ours is a story that has, time and again, stood the test of time. We have a history of thousands of satisfied customers who recommend our approach to their friends. We strongly believe that we would not have achieved this feat were it not for our determination to ensure each product that comes out of our workshop is built to perfection. We pride ourselves in being able to capture and exceed the expectations of our customers. Once you share your customised needs or designs with us, we will start working immediately and we will not rest until the job is perfectly done, and as you can tell, we never cut corners. Our wood, for instance, is exclusively sourced from Finland. Why Finland? Two reasons – Winters in Finland are extremely cold and that means vegetation tends to grow at a slower-than-normal rate. The wood harvested under such conditions, therefore, tends to be tougher at the grain level. What’s more, before the wood is sent to us, we make sure it is planed to achieve a unique, smooth finish you won’t find anywhere else on the market. Our wooden entrance gates provide style and security, and like our wooden farm gates, are available in both hardwood and softwood variants. Whether you want a gate for your paddocks or the main entrance to a larger field, we can always design and produce something unique for you. We also make curved heel wooden security gates and other unique features such as bottom rails and prominent heel top bars. If in case you’re looking for a softwood gate, we make sure you only get pressure treated wood. From our experience, pressure-treated wood provides just the kind of longevity needed for many more years of protection. We can also paint the gates to the color of your choice – so, whatever you need, just ask and we will get it done for you. The entryway to your home deserves to have the highest quality gate in town. As far as building entrance gates is concerned, we always put our best foot forward to ensure every small detail is well taken care of. Our highly skilled and accomplished craftsmen not only guide you on the best choices to make but also take their time in order to ensure your individual desires are captured in the final product. We understand that each home is unique, and so is each driveway – therefore, we make sure each project is approached with an open mind. Our lovingly designed gates continue to achieve commendations and we believe by investing in them. Our enviable side gates are handcrafted and delivered straight from our workshop ready for fitting. In response to public demand, we have expanded our catalogue of these specific types of gates to offer different sizes and finishes. So, whether you want to stick to the old rule of keeping the wooden side gates matching with the fence panel or you want to experiment by creating sheer contrast, count on us to get the job done to perfection. Most importantly, our gates are solid, durable, strong and come with an unbeatable level of security for your back garden can remain the safe haven it is for many more years to come. If your current garage door isn’t wooden, there is great potential you can achieve by making this change. Keeping in mind that we produce each gate as and how you need it, you can rest assured to get good value for money as you purchase a gate that will remain a thing of beauty for generations to come. Our security gates ensure you’re not only safe but also that your sense of style and taste is always reflected even before someone enters your home. Our handcrafted gates are easy to maintain plus you can choose from our rich variety and styles menu which is made up of simple to ornate and classic to contemporary options. Want a gate that complements the architecture of your home? We can create a custom design for you as you wish. Timber gates are a time-tested and proven way to add a classic look to any home, stables or farm in Dublin or countrywide . What’s more? With our unique style of making them, you can count on us to deliver a gate that truly lasts and sends out a clear message about your style, class and character. With lots of options available at your disposal, Grogan Timber Products gates remains your go-to source for the best quality product in Ireland and the UK. The customers we have been serving all over Ireland and the UK from our Belturbet workshop for close to three decades rate us highly for our unique approach to everything to do with our crafted gates. But even then, we remain true to our initial commitment which is to always tailor wooden gates and timber doors by combining the finest wood with great craftsman skills plus advanced latching and locking fittings. Wooden Gates delivered to Dublin, Wicklow, Louth and Countrywide, made to order. Fully insured by AOR. Timber gates custom made using the finest wood and craftsmanship. Security Gates, Driveway/Entrance Gates, Side Gates, Garage & Stable Doors custom made.